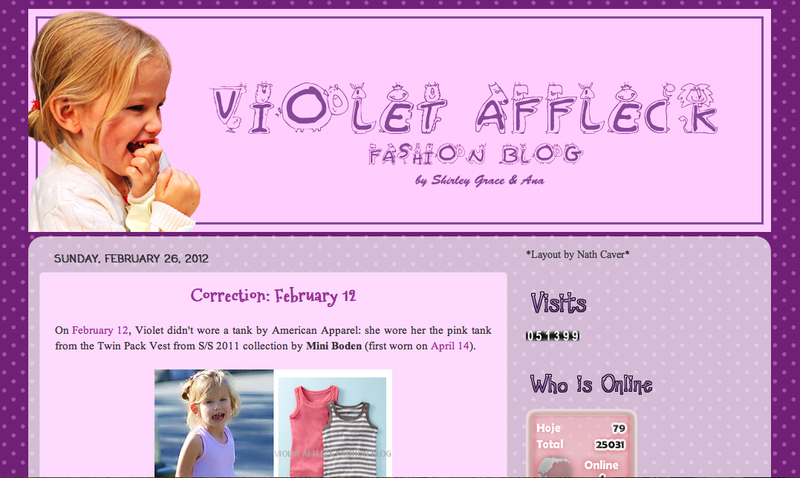 There's a trend in baby blogging that I've recently discovered - the celebrity baby/kid fashion blog. I'm not talking about the "Babies" page on People.com. I'm not talking about websites that are dedicated exclusively to celebrity babies like CelebrityBabyScoop.com or BabyRazzi.com. I'm not even talking about the Blue Ivy blog created by Beyonce herself to share photos of her new daughter. In case you didn't see the official Blue Ivy blog (shame) click here. What I am talking about are non-professional blogs written by non-celebrities (aka people like you and me) about famous babies. It sounds a bit odd because it is. 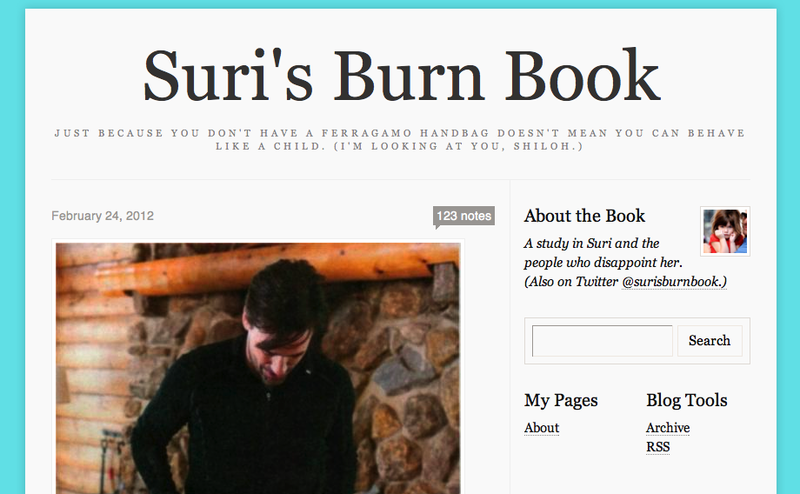 If you've already heard of and read Suri's Burn Book, kudos to you. It's hysterical. It's a blog written from the perspective of Suri Cruise. She bashes other celebrity baby's fashion choices. She brags about her fashion genius. It's snarky, it's sarcastic and it's spot on. The McDermott Sisters Fashion Blog is, on the other hand, not at all sarcastic. 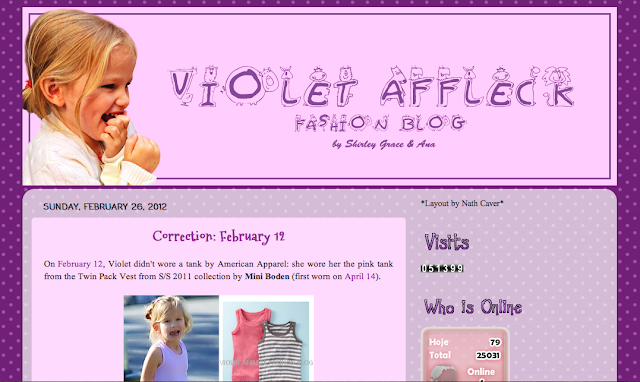 It's a serious fashion blog about the style of Hattie and Stella McDermott (Tori Spelling's daughters). 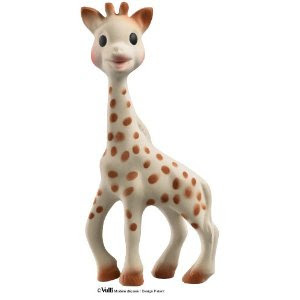 It discusses outfits and accessories with some detail and tells you where to get the items for your baby girl. Who would have guessed that little Hattie wears items from Target? Gasp. True. The McDermott girls have some competition with the Affleck girls. Seraphina (here) and Violet (here) each have their own blogs, both in the same vein as The McDermott Sisters Fashion Blog. Of course there is a fashion blog dedicated to Harper Beckham (here). I get it, Posh is a legend in the fashion industry, but Harper isn't even 8 months old! You won't be surprised to hear that Harper does not wear items purchased at Target. 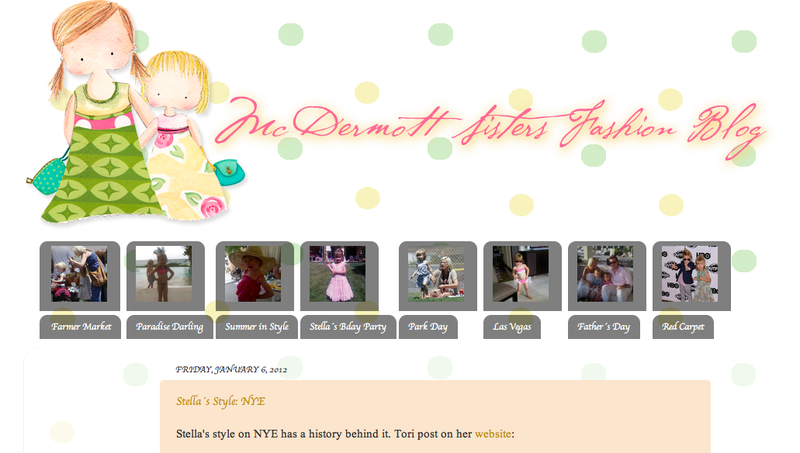 The McDermott Sisters Fashion Blog was the first celebrity baby fashion blog that I found. 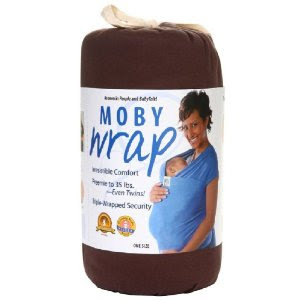 I randomly stumbled upon it and found it cute, useful (if your into baby/kid fashion) and slightly strange. Shortly thereafter I heard about Suri's Burn Book from a friend and checked it out. I thought it was awesome. The concept is a little more creative than The McDermott Sisters Fashion Blog and the execution is flawless. 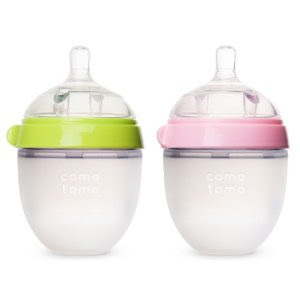 Having discovered two of these type baby blogs, I wondered if there were more. I began a fervent Google search. The more celebrity baby names I searched, the more blogs I found. There are so many. Too many to include them all in this post. Finding so many was a little...creepy. That was what I thought. That is what I think. I went from being humored by Suri's Burn Book to weirded out by a shrine blog to Harlow and Sparrow Madden (this blog was too weird to include, and it was written in French). Scrolling through detailed accounts of babies and little kids that I don't personally know felt awkward. It must be awful for celebrity parents to have their children so fully and completely exposed, even when such exposure is typically positive and admiring. I also found myself feeling frustrated. The fact that Seraphina Affleck, a 3-year-old, has a more impressive wardrobe than I do is pretty annoying. Have you discovered any of these blogs? Do you follow any? Which is your favorite? Ummm... I am not sure how to feel about this one. Ah - Hollywood!